Andrelton A. Simmons (ANN-drull-ton)...On Twitter: @Andrelton... Played collegiate baseball at Western Oklahoma State Junior College...Was clocked at 98 MPH as a pitcher, during junior season in college... Originally signed by Braves scout Gerald Turner...Played on same youth baseball (Marchena Hardware) for 10 years with Didi Gregorious...Played soccer and baseball as a child against Jurickson Profar. runs...Is the first shortstop in franchise history with consecutive 25 2B/10 HR campaigns. In second season with the Angels and sixth in the Majors, was voted by Angels teammates as Co-Team MVP with Mike Trout ... Set new career highs in hits (164), runs (77), doubles (38), RBI (69), stolen bases (19), walks (47), on-base percentage (.331), slugging (.421) and games played (158 G)...Home runs were the most by an Angels shortstop since Jim Fregosi's 22 in 1970 while his 38 doubles were the most since Orlando Cabrera's 45 in 2006 ... Became the only shortstop in franchise history to tally 35 doubles, 10 home runs and 15 stolen bases in a season ... Named the American League Rawlings Gold Glove Award winner at shortstop...Became fourth Angels shortstop to win a Gold Glove, joining Jim Fregosi (1967), Orlando Cabrera (2007) and Erick Aybar (2011)...Led the Majors with 32 defensive runs saved, the second highest mark of career (41 in 2013 with Atlanta) and a new franchise record, surpassing Chone Figgins' previous mark of 29 in 2009...Also named the winner of Wilson's Defensive Player of the Year at shortstop ... Club's winner of the MLBPAA's Heart and Hustle Award ... Prior to season, played with team Netherlands during the 2017 World Baseball Classic and hit .344 (11/32). Set career-best with a .281 batti ng average during fi rst season with the Angels...After batting .204 (28/137) during his fi rst 38 ti lts, went on to hit .315 (98/311) over his fi nal 86 games...The .315 clip during that span ranked third in the Majors by a shortstop (min. 300 PA)...Despite missing 33 games due to injury, led American League shortstops with 18 defensive runs saved, according to FanGraphs.com, good for fourth overall in the A.L...Also ranked second in the American League with a 2.6 defensive WAR (Baseball-Reference.com)...Stole career-high 10 bases...Became the sixth shortstop in franchise history to log a 20 2B/10 SB season: Erick Aybar, David Eckstein, Orlando Cabrera, Gary DiSarcina and Jim Fregosi. Spent fourth big league season with the Braves batting .265 (142/535) with 23 doubles, two triples, four home runs, 60 runs scored and 44 RBIs...The .265 average was his highest in a full season (hit .289 in 49 games during rookie campaign)... Hit .283 (60/212) following the All-Star break, the highest mark by any N.L. shortstop (min. 175 AB). Led all N.L. players in Defensive Runs Saved (25 DRS) for the third consecutive season while his .988 fielding percentage as a shortstop led the Majors (min. 1000 innings)... Won the Wilson Defensive Player of the Year honors and finished second in the N.L. Gold Glove voting for shortstops...Also led all MLB shortstop with 126 double plays turned, secondmost in Atlanta Braves history (as a shortstop), trailing only Rafael Ramirez (130 in 1982). ◆ Posted a Nati onal League leading 3.5 defensive WAR, fi nishing second in the Majors behind only Tampa Bay's Kevin Kiermaier (5.0). ◆ Led the N.L., second in the Majors, with 12.15 plate appearances per strikeout (583 plate appearances/48 strikeouts). Earned his first career Rawlings Gold Glove Award as the top defensive shortstop in the National League. Was named the Rawlings Platinum Glove Award winner for the National League as the senior circuit's top defensive player. Baltimore's Manny Machado earned the honor for the American League. First Braves infielder to win a Gold Glove since Terry Pendleton earned the honor at third base in 1992. Was named by ESPN as the Defensive Player of the Year and was also named Defensive Player of the Month for both May and June. Compiled a defensive WAR of 5.4, the highest single-season mark in Major League history. He tied shortstop Terry Turner (5.4) of the 1906 Cleveland Naps for the best defensive WAR season in history. His 5.4 DWAR was almost a complete win above the next highest mark of 4.6 by Milwaukee's Carlos Gomez for the season. Defensively saved 41 runs, tied for most (with Arizona's Gerardo Parra) since the stat began to be tracked in 2003, according to Baseball Info Solutions and ESPN. No other shortstop finished the season with more than 12 defensive runs saved. Baseball Info Solutions' formula calculated that Simmons made 49 more plays than the average shortstop would have made against the same series of batted balls. Also according to Baseball Info Solutions, Braves opponents reached safely on only 22 percent of ground balls hit to the left of the second base bag, the lowest success rate in the majors. Was unanimously named The Fielding Bible's best fielder in baseball for possessing "soft hands, a quick release, tremendous range, an incredible flair for the shortstop position and a strong throwing arm." Had a career-best 11-game hitting streak from 5/25-6/5 and hit .360 (18-for-50) during that stretch. Ranked fourth in the majors with a 11.96 plate appearance per strikeout rate (658 PA/55 K). His 17 home runs were the most by a Braves shortstop since Jeff Blauser had 17 in 1997. His 21 infield hits ranked were tied for ninth-most in the National League. Led all Major League shortstops with 499 assists. Notched two two-home run games on 5/16 at CIN and 9/2 at CHI. 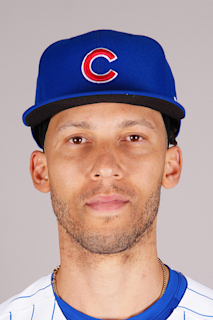 Appeared in eight games for the Netherlands in the 2013 World Baseball Classic and batted .333 (10-for-30) with 10 runs, three doubles, two home runs and six RBI. Made his second career postseason appearance in the NLDS vs. LAD and batted .250 (3-for-12). In his rookie season, hit .298 (48-for-166) with eight doubles, two triples, three homers and 19 RBI...Made his Major League debut on June 2 at WSH vs. Stephen Strasburg and went 0-for-3...Collected his first career hit, a double, on June 3 at WSH off Gio Gonzalez and notched his first career home run on June 9 vs. TOR off Drew Hutchison.//Captured NL Rookie of the Month honors for June after leading rookie candidates in batting average (.333), OBP (.365) and hits (30). He hit safely in 17 of 25 games during the month...Was named ESPN's Best Defensive Shortstop for the Month of June...Suffered a non-displaced fracture of the fifth metacarpal in his right hand on July 8 at PHI. Went on the disabled list on July 9 and returned to action on Sept. 10 at MIL...Hit a combined .320 (8-for-25) with two doubles and two home runs in six rehabilitation games at Rome (Single-A), Lynchburg (Single-A Advanced) and Mississippi (Double-A)...Hit .292 (50-for-171) with three home runs and 21 RBI in 43 games with Mississippi (AA) before beingpromoted to the Braves. Became the first Braves player from the 2010 draft to reach the Majors...Was named to the provisional roster of the Netherlands for the 2013 World Baseball Classic...Entered 2012 as the fourth-best prospect in the organization as ranked by Baseball America. Enters 2012 rated as the fourth-best prospect in the Braves organization according to Baseball America...Led Single-A Lynchburg in batting (.311), hits (161) and stolen bases (26)...Named organizational Player of the Year for High-A Lynchburg...Ranked fourth among Braves farmhands in batting average (.311) and third in stolen bases (26)...Led the Carolina League with a .311 batting average, 517 at-bats and 161 hits. He ranked second indoubles (35) and fourth in total bases (211)...Earned Carolina League mid-season and post-season All-Star honors...Named organizational Player of the Month for Lynchburg in August (.324, 1 HR, 14 RBI, 11 2B, 2 3B,8 SB, 18 R). Entered 2011 rated as the 15th-best prospect in the Braves organization according to BaseballAmerica...Named the Danville Player of the Month for July (.282, 8 2B, 1 HR, 11 RBI, 8 SB, 16 R)...His 18 stolen bases were good for second in the Appalachian League...Hit his first professional home run 7/7 vs. BUR...Recognized by Baseball America as being the "best defensive infielder" and having the "best infield arm" among Braves farmhands...Selected to the Appalachian League Post-Season All-Star team...Following the season, was named by Baseball America as the 12th best prospect in the Appalachian League. June 16, 2018 Los Angeles Angels activated SS Andrelton Simmons from the 10-day injured list. June 6, 2018 Los Angeles Angels placed SS Andrelton Simmons on the 10-day disabled list. Sprained right ankle. June 15, 2016 Los Angeles Angels activated SS Andrelton Simmons from the 15-day disabled list. June 9, 2016 Los Angeles Angels sent SS Andrelton Simmons on a rehab assignment to Salt Lake Bees. June 6, 2016 Los Angeles Angels sent SS Andrelton Simmons on a rehab assignment to Inland Empire 66ers. May 10, 2016 Los Angeles Angels activated SS Andrelton Simmons. September 10, 2012 Atlanta Braves activated SS Andrelton Simmons from the 15-day disabled list. September 6, 2012 Rome Braves sent SS Andrelton Simmons on a rehab assignment to Lynchburg Hillcats. September 5, 2012 SS Andrelton Simmons assigned to Rome Braves. September 3, 2012 sent SS Andrelton Simmons on a rehab assignment to Mississippi Braves. July 13, 2012 Atlanta Braves placed SS Andrelton Simmons on the 15-day disabled list retroactive to July 9, 2012. Non-displaced fracture of the fifth metacarpal in right hand. June 1, 2012 Atlanta Braves selected the contract of SS Andrelton Simmons from Mississippi Braves. April 5, 2012 Andrelton Simmons assigned to Mississippi Braves from Lynchburg Hillcats. February 2, 2012 Atlanta Braves invited non-roster SS Andrelton Simmons to spring training. April 3, 2011 Andrelton Simmons assigned to Lynchburg Hillcats from Danville Braves. March 19, 2011 SS Andrelton Simmons assigned to Atlanta Braves. June 10, 2010 Andrelton Simmons assigned to Danville Braves from Atlanta Braves. June 9, 2010 Atlanta Braves signed SS Andrelton Simmons.